Taste of Dublin, Ireland’s most prominent food festival, will be returning to the Iveagh Gardens from June 14-17. 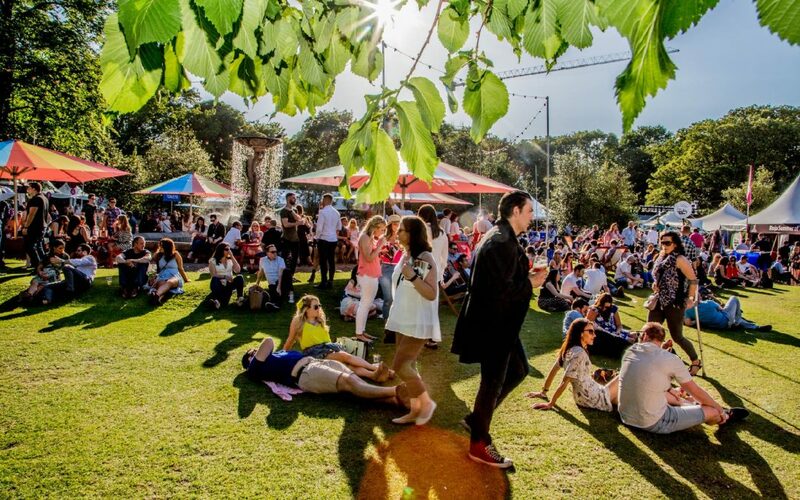 For 13 years, the festival has been transforming the atmospheric surrounds of Dublin’s Iveagh Gardens into a foodie paradise. This ultimate food festival will bring the most innovative flavours to one place over four delicious days. If you’ve attended the Taste of Dublin previously, you’ll know that every year there’s a different theme. This year, it’s no different – the theme for 2018 is Food Lovers Playground. If you’re living in Ireland, you won’t be surprised to see four seasons in one day! In 24 hours, you could have blistering sun, torrential rain, turbulent wind or even heavy snow – that’s the joys of living on this emerald isle. So, don’t forget the SPF 20, your wellies, an umbrella and perhaps a rain jacket. There’s so much to do at Taste of Dublin, which runs across two sessions each day – 12-4pm and 5:30-10:30pm – so make sure you plan ahead to get the best experience possible at Ireland’s biggest and best-known food festival. Between food tastings, demos and master classes, there’s something for everyone to enjoy so check the schedule to make sure you don’t miss your favourites! Although some like to be fashionably late, we wouldn’t suggest it for this fun-filled event. Don’t forget each ticket for the festival has a time slot which isn’t that much when you consider the amount of food, drink and other events that you need to get around to trying and exploring. Make sure to arrive on time and make the most of this food-tastic festival. Taste of Dublin is one of the only festivals in the world that has its own currency – cool isn’t it? Your euros are no use to you as they only accept florins on site. But don’t worry, you can exchange your currency at the festival, so make sure you stock up! If you have any queries regarding furniture hire, feel free to call us on 1800 579 579, email info@neh.ie or click HERE.